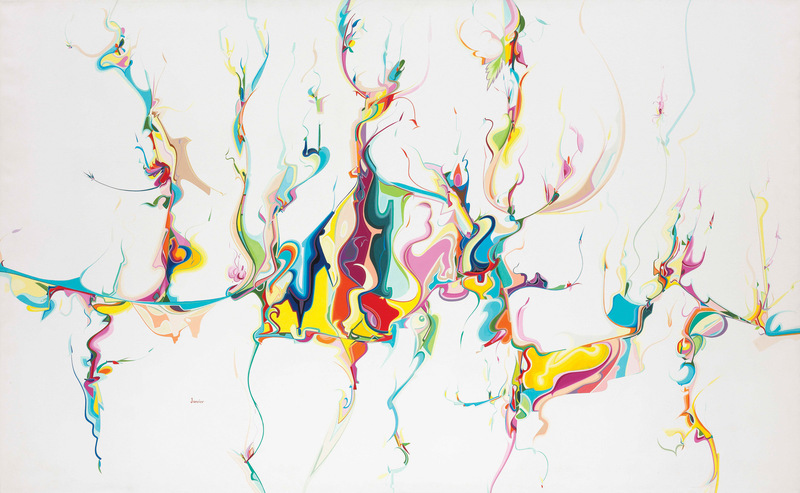 This major retrospective, organized by the National Gallery of Canada, celebrates Alex Janvier’s lifetime of creativity, knowledge and perspective, gained through his love of the land, art and Dene culture. Exploring his 65-year career through more than 100 remarkable paintings and drawings, it is the largest and most comprehensive retrospective on the artist to date. This touring exhibition features works from public and private collections across Canada and includes well-known masterpieces as well as pieces that have never been on public display. The artist’s unique paintings, with their vivid colours and calligraphic lines, combine Denesuline iconography with Western art styles and techniques, such as automatic painting and modern abstraction. Exploring the geocultural landscape of Janvier’s northern Alberta home, his works on paper, canvas and linen reference Indigenous culture and history, including his own experience of the effects of colonization and residential schools, using his distinctive personal aesthetic. 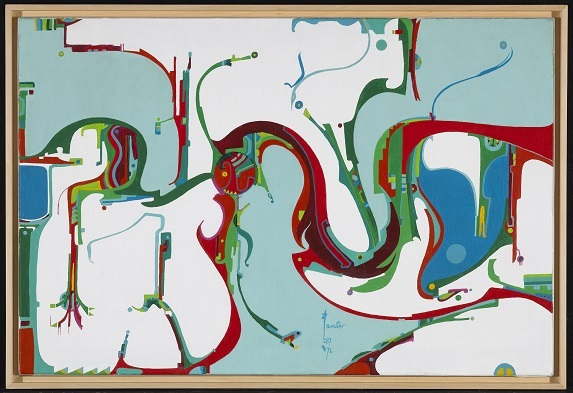 Born on 28 February 1935 in Le Goff Reserve, Cold Lake Indian Reserve (now Cold Lake First Nations), Alberta, Janvier has made an enormous contribution to art in Canada, and his long and prolific career has added much to the cultural fabric of the nation. A Member of the Order of Canada, Alberta Order of Excellence and Royal Canadian Academy of the Arts, he has achieved a level of success that is exemplified by the number of public collections that hold his works, as well as awards and important commissions. Enthusiastically collected in his home province of Alberta, the artist’s works can be found in galleries and private collections across Canada, and around the world. Janvier’s paintings have had international exposure since the very beginning of his career, when he won a prize in an exhibition at the Vatican in Rome in 1950. International audiences admired his mural for the Indians of Canada Pavilion at Expo 67 in Montreal as well as his works shown at solo and group exhibitions since the 1970s in Canada and in other countries such as Belgium, China, France, Germany, Netherlands, Sweden and the USA.